Rules, regulations and policies are not substitutes for trust, ethics or corporate responsibility. JP Morgan Chase and Jamie Dimon: Do you think your policy of cancelling a widow’s credit card within two weeks of the death of their spouse, and with no notice, is the “right thing” to do simply because they are not the “primary?” It hasn’t been too long since you lost your parents. What if it was your mother who had been embarrassed at CVS over an $8.00 purchase on her Chase credit card? Comcast and Brian Roberts: If I must have a landline for Triple Play, might you have an ethical responsibility to find a way to stop the dozens of robocalls that plague me every day? Surely, the expense of doing so would be far less than the “intangible” customer loyalty that could be quickly built. Wolverine and Blake Krueger: Do you want to build or bust trust with your customers? Your reps are demanding that I first buy a new pair of Sperrys online, cut the tongues out of my existing loafers, send you a picture, and then your company will reimburse me for YOUR shoes that fell apart 4 weeks after purchasing them. Why would I EVER buy another pair of shoes from you again? State Farm and Michael Tipsord: When did you decide that cutting corners in hiring and training, (and probably hourly wages) in your claims department was “good” ethics, and do they get a bonus for making stuff up? Blue Cross of NJ and Kevin Conlin (who recently replaced Robert Marino:) Do you care that your customers are miserable because you get so few things right? The most recent example being when you denied coverage because “another policy was in place” even though a termination letter was provided to you. A simple check of your internal records would have revealed that the “old” policy was also with YOUR company. Now the loyal customer has NO coverage due to your internal snafu. 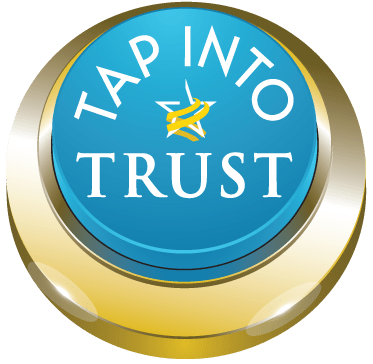 You can read more about TAP in the latest issue of TRUST! Magazine. After 10+ years of studying organizational trust, one thing is for certain. Trust and ethics are a “top-down” strategy. Without buy-in from the CEO, watch out below and “buyer beware.” The silver lining…not all companies (or their leaders) are created equal. Some have proactively embraced elevating stakeholder trust and ethics, and they are reaping the long-term rewards. Who do you think will be the first of the five CEOs to publicly respond? Do you have any examples (good or bad) that you would like to add to this list? I have a good example. I purchased a rug online from Wayfair. The rug was exactly as promised but the way it was delivered caused damage to our property. The delivery person threw the rug over our fence instead of placing it in our enclosed front porch. It was raining so even though the rug was protected, the plastic was wet and muddy. The rug landed behind our electric gate. When we came home and opened the gate, the hinges caught on the rug and the gate was damaged. When I called Wayfair they apologized, took the damage claim and called me twice to see if I was satisfied with their solution. They asked if I wanted to return the rug, at their expense, and followed up to make sure that the claims person had contacted me. Janet from Wayfair gave me her phone number and contact information in case I had any questions or concerns. As you and I both know Barbara, it’s not the mistake but how they handle the mistake that makes all the difference. Thanks for commenting Lea. It’s also a matter of how much priority (and budget) a company chooses to allocate to customer service and retention. Some of the examples given in the article are, unlike Wayfair, virtual monopolies. In terms of stakeholders, the customer comes in dead last in these examples. I wish I could say that my good examples out weight the bad but sadly no. I have more examples that are like yours which is why Wayfair’s stands out.